Every member of the Special Ops US Air Force pararescue jumpers, the PJs, swears by the motto “That Others May Live.” A top-secret mission to save a kidnapped Saudi princess will put that oath to the ultimate test. With a force of armed men, a former mujahideen chases across the desert of Yemen to recover his Saudi wife, kidnapped by her powerful father, a prince of the Kingdom. The kidnapping turns violent, she is badly wounded, and the PJs are dropped into the vast sere badlands to rescue the princess and a young American diplomat swept up in the plot. The mission becomes a minute-by-minute race between the pursuing husband’s band of tribal allies and the PJs rushing to the rescue, as the princess’s life seeps away. 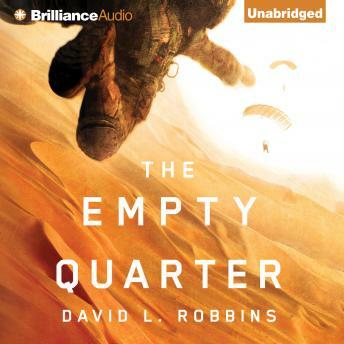 The Empty Quarter is a pulse-quickening tour de force featuring the tactics and men of modern combat search-and-rescue and the complex politics of today’s Arabian peninsula. It’s a moving tale of desperate love and sacrifice set in the wastes of the Rub’ al Khali, the world’s largest and harshest sand desert.